Could someone help with this file please. I cannot use anti malware bytes scans shut down. I have reinstalled successfully but i keep getting forced shut down messages. I have slow internet and pc running. I would like some help to remove or disable all unnecessary programs or processes on start up. tried lots of things and asked for lots of help fixed many problems but there seems to be something way beyond my ability. I have used super anti spyware today and regularly all clear. I have used c cleaner atleast once a week. I have kaspersky trial. I was on paid nod 32 and decided to try this one. o keep getting local area connection now connected followed by unplugged. my internet and pc are really slow like grid lock on the freeway. These are the ones I would stop from running at startup .. none of them are essential programs and if needed can be accessed either through All Programs or a desktop short cut. after stopping these two from running I strongly suggest you uninstall InCD (it will be a separate program from Nero). This program has caused many problems and Nero no longer includes it with their main program. Re-run HJT, put a check mark next to the entries above and click 'fix checked' button. If you encounter any problems, you can reverse this procedure. Also note: I am not a spyware expert so am unable to comment on the rest of the HJT log. Our main expert has been called away on an emergency. Fireman has kindly offered to assist, however he too is stretched and may not be able to answer. Also, you mention you've used NOD32 and Kaspersky trial. use only one anti-virus program as they can interfere with each other .. uninstall the one you're not using. After doing all the above, download Ccleaner and run it in its' default settings. 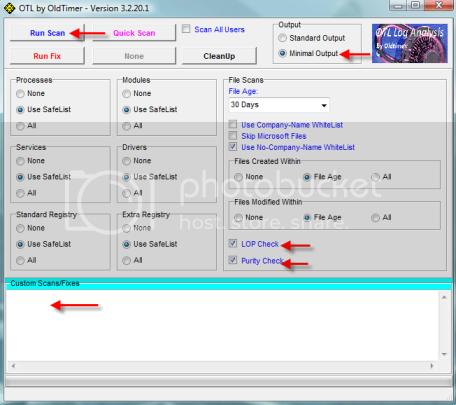 Included with Ccleaner is a Registry cleaner .. we do not recommend the use of any registry cleaner as they have been known to cause many problems including total shut down. Last edited by Canuck; 05-06-2011 at 04:15 PM. I have included a new hjt log after following your instructions. I am using kaspersky at the moment and on installing it removed nod 32 so that is fine. I am still having issues with local area connection pop ups saying i am a connected and unplugged. If fireman can assist that would be great i am still trying to find solutions. do you know of ways to check modem and cabling for faults could this be the issue? anyway thanks for help so far in cleaning up machine. hopefully it should run a bit smoother. Please download the following 3 programs to a clean computer and then transfer them on to a usb stick. Once you have downloaded all the necessary files to a removable device, you need to plug it into your infected computer so it can access them. Now open the drive that corresponds to the removable media that you copied the programs from the earlier step. Once open, double-click on the FixNCR.reg file. When Windows prompts whether or not you want to allow the data to be added to your computer, click on the Yes button. Now that you are in normal mode...You should now be able to download OTL onto the infected system. Sorry not getting back earlier. Mothers day here. Fully onboard with instructions. Thanks for help. I have downloaded the files you said to straight to a thumb drive on another pc. I ran fixncr and rkill as instructed in safe mode with networking. Rkill produced a report which i will include but antimalwarebytes terminated its scan 2.56 into scan. i sent report to malwarebytes. I stopped there and have not gone on with the rest of your instructions till i see what you have to say about where we are at. thanks for your help and i will follow your advice to the best of my understanding. Rkill was run on 08/05/2011 at 13:12:21. Rkill completed on 08/05/2011 at 13:12:24.
i can attaqch a malwarebytes log from 14th april which was the last time i was able to complete a full scan if this will help. Go ahead and copy and paste the log of malwarebytes from your last full scan...I will like to see what kind of infections you had. 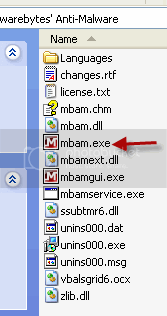 Malwarebytes' Anti-Malware can detect and remove this rogue application. Please download Malwarebytes' Anti-Malware from >> here << to your desktop. Now doubleclick iexplore.exe to launch Malwarebytes' Anti-malware. Hi Net Surfer,here is last log for malwarebytes. i ahve just started the new install and scan. will download other programs and let you know how i go. i will continue with other instructions if iexplore does not work to keep things going. Thanks for the report log...Nothing bad was found...kind of good news...but the other tools will find something that MBAM missed.